Behold, the most expensive Mustang ever! The only 1967 Shelby GT500 Super Snake in the world sells for $2. 2m (£1.5m) at the Mecum auction in Florida. Yup, you read that correctly. 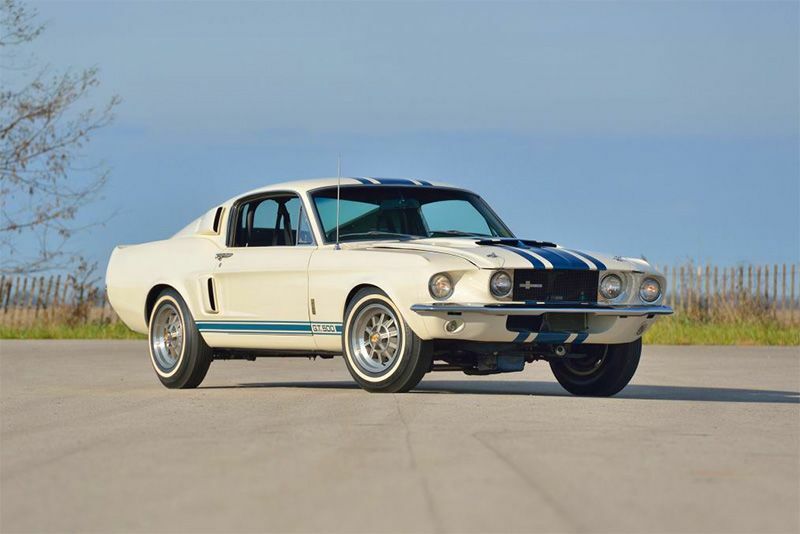 The world’s only 1967 Shelby GT500 Super Snake was purchased at the Mecum auction in Kissimmee, Florida for a whopping $2.2m (£1.5m) with just 26,000 miles on the clock. Right now, you may be asking yourself what's so special about it, we know we did. So, let's take a look at what makes this vehicle so special. As mentioned, this is a one-off build of the iconic Mustang, but that's not all it's got going for it. Apparently, the story goes, Carol Shelby was asked by Goodyear to take part in one of their promotional events. Not satisfied with the current status quo of supercars at the time, they decided to create something that would "outperform anything else in the world". Shelby got to work and swapped out the engine from an existing GT500 for one that was, essentially, a version of the Le Mans-winning unit from the GT40 MkII. It was stated that the powerplant was "the mother of all 427s at that time… aluminium heads, aluminium water pump, forged crank, Le Mans rods, just basically everything inside the engine was built to run sustained 6000rpm – to race at Le Mans". To make sure the vehicle was reliable during the 500-mile promotional event, Shelby made various other modifications to the car too, including an external oil cooler, braided lines and a remote oil filter. He dropped in uprated springs and shocks, with those on the passenger side slightly stiffer, to better handle the high-speed cornering of the oval track. The Mustang also received a few design tweaks to distinguish it from its stock siblings. There's a one-off chrome inboard headlight surround while unique Le Mans tri-band stripes ran through the centre of the car. During the test, the Mustang averaged 142mph with the top speed cracking 170mph. Unfortunately, due to the high cost of production, plans to create another 50 cars was cancelled. Predictions revealed a retail price of double that of a stock GT500 and well beyond that of its competition. A short while later, this 1967 Shelby GT500 Super Snake was sold for a paltry $5,000. Check out the video below to see the car in action.